Rapper DT and producer Dr. 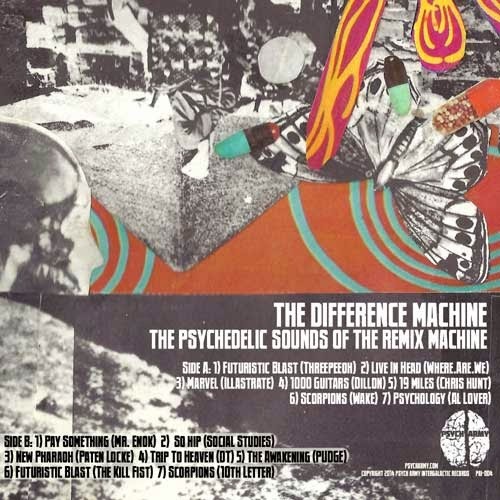 Conspiracy are Atlanta psychedelic hiphop group The Difference Machine, presenting the Mystery School remix of "New Pharaoh", the lead single from The Psychedelic Sounds Of The Remix Machine. The "Pharaoh" remix comes courtesy of Jacksonville, FL producer/rapper Paten Locke, best known for his work with Edan and Dillon.